Speaking at the conference, Madam Karen Ma, Director of the Green Trade Project Office, Taiwan, said, in many Asian countries like India, Thailand, Singapore and Brunei, using green energies, including solar energy, is highly recommended and seen as an effective solution to ensure national and regional energy security. In particular, these countries have also developed complete legal frameworks to provide a solid foundation for green energy development in the future. “While energy demands in developing countries are increasing and non-renewable energy sources are costlier and more environment-polluting, investing in green energy development in general and solar power development in particular is considered to be indispensable and sustainable direction,” she stressed. Taiwan has extensive experience in green energy and can fully use this strength to help Vietnam to harness its abundant green energy potential by introducing advanced green energy technologies to develop green energies and renewable energies in Vietnam, thus enabling Vietnam to achieve the goals of the Green Energy Strategy and implement international commitments for sustainable development, said Karen Ma. Dr Nguyen Anh Tuan, Director of the Centre for Renewable Energy, the Institute of Energy under the Ministry of Industry and Trade, said, Vietnam has great potential for green energy development and the Government has many development support and encouragement policies for this sector development. For instance, wind power projects are entitled to preferential treatment on infrastructure, supported with selling prices, allowed to adjust selling prices in case of exchange rate volatility. Green energy investors are supported to access soft loans by the State. Recently, the Prime Minister issued Decision 11/2017/QD-TTg dated April 11, 2017 on encouragement mechanisms for solar power development projects in Vietnam. 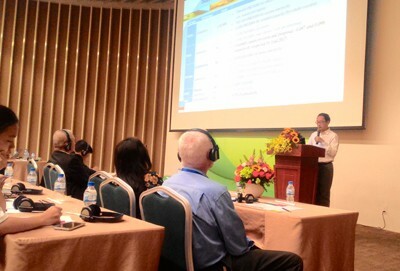 However, green energy development in Vietnam is facing numerous challenges because investment value in this field is very high while power purchasing prices are unattractively low, resulting in unattractiveness to investors, he said. In addition, investment procedures for green energy projects are cumbersome, human resources in the industry are insufficient and land fund is limited, making investors very cautious. “To create a ‘runway’ for the green energy industry to fly, the Government should have investment support policies and mechanisms in this field such as quota mechanism, fixed price mechanism, tendering mechanism and certification mechanism. In addition, there should be a regulation to mandate production or consumption units to ensure a proportion of electricity produced or consumed from green energy. It is important to promote communications and raise public awareness of green energy use among people and the business community, thus contributing to ensuring national and global energy security,” Tuan suggested.